"Gabriel Wells is a bookseller by profession. He has earned an international reputation as a dealer in those rarer productions of the printing press and the scriptoria which few buy and still fewer sell, and which neither buyer nor sellers parts with easily"
Gabriel Wells (b. 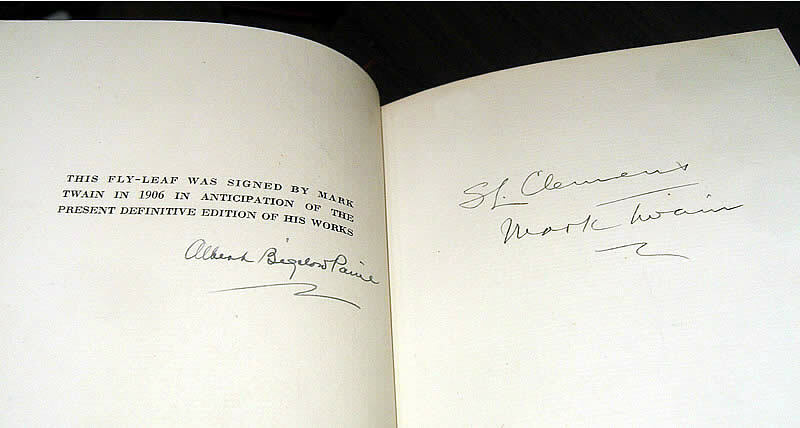 1861 - d. 1946), a Hungarian immigrant who rose to prominence in the rare book trade, acquired the rights to issue an autographed edition of Mark Twain's works in 1922 after a stock of Mark Twain autographed sheets was rediscovered in Harper's vault. Gabriel Wells was born Gabriel Weiss on January 24, 1861 in Balassa-Gyarmath, Hungary, the son of Moritz Weiss. Today the town is known as Balassagyarmat. 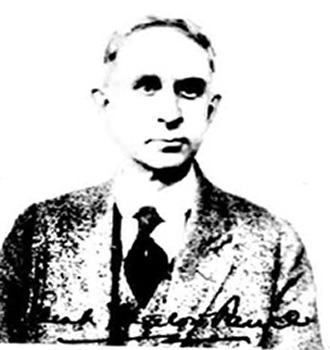 Weiss immigrated to the United States about September 1894, arriving in Boston and subsequently changed his surname to Wells. According to reports concerning his early life, he mastered eight languages specializing in German in order to read the works of German philosophers. Wells spent three years at Harvard working as a tutor in psychology and German and as the protégé of psychology professor William James. A bibliography of Wells's writings and speeches prepared by book dealer Charles Heartman in 1939 indicates Wells was lecturing on philosophical topics at conferences in Massachusetts and New York in the late 1890s and early 1900s. I believe I may have an answer to your question, and if I am right, you will not find "Reviser" on any "official" list because I believe Weiss applied the word to suit himself. When he started out in the book business, he would buy up runs of subscription and limited edition books, rebind them and sell them to dealers. Basically, he was "revising" the run with new covers and profiting from their sale. Later he bought up a damaged copy of the Gutenberg Bible, separated the leaves, then bound them individually in blue tooled morocco leather and sold them for a large profit. For the occasion of taking the book apart he invented the word, "disseverated." It seems he described things his own way, which leads me to believe he very well could have used the term "Reviser" to describe the manner of his business of rebinding books before selling them (Watkins, 2011). Gabriel Wells apparently never married. When he died November 6, 1946 the only family members mentioned in his will were five brothers and sisters and their children. However, a number of Wells's heir were never located due to their deportation from Hungary by the Germans during World War II. Other beneficiaries of Wells's will included Library of Congress, New York Public Library, Harvard, Rutger's University, and his hometown in Hungary. Bibles. The ordinary Gutenberg Bible, of which 41 are known to be in existence, has 641 pages. (This was the first issue of the Bible printed with movable type, 1450, 1455.) Gabriel Wells, a Fifth Avenue, Manhattan, bookdealer, recently sold piecemeal an imperfect copy of 593 pages. Where whole books or chapters were intact, they were sold as units. The splitting up of the book makes it possible for many museums and libraries to have pages of this famous Bible, where it would be impossible to secure whole copies. Those which have benefited under this scheme are: Toledo Museum of Art, Massachusetts Institute of Technology, Boston Public Library, Mc-Gill University, University of Pennsylvania, Vassar College, Colgate University, Newark Public Library. Mr. Wells gave to the New York Public Library enough leaves to complete its copy except for one page. Henry E. Huntington paid $50,000 for a perfect Gutenberg Bible (Time, 23 July 1923). The profit Wells made from his Gutenberg Bible venture has not been publicized, but it helped cement his position in the national and world spotlight of rare book dealings. Wells's sales methods were unorthodox among book dealers in that he never issued a catalog of his holdings. His response to such criticism was that he was in the business to sell books and not to advertise or catalogue them. However, his methods led some dealers to suspect he manipulated prices among various clients as well as lacked an in-depth knowledge of the books he handled. If he did, indeed, lack the knowledge to accurately describe his holdings, this theory explains his reluctance to put his descriptions in print. However, his charitable donations led Rutgers University to award him a Doctorate of Humane Letters. As early as 1919 New York newspapers were reporting on Wells's presence and purchases at rare book auctions around the city. An April 5, 1919 story in the New York Tribune reported that Wells had purchased a set of the Writings of Mark Twain on India paper with portraits and illustration for $239. Two years later the New York Tribune of November 10, 1921 reported that an 1899 autograph edition of the "Writings of Mark Twain" by American Publishing Company was sold for $610. The 25-volume set was numbered #3 and formerly owned by Robinson Locke, the eldest son of David Ross Locke who was known as Petroleum Nasby, one of Mark Twain's colleagues. 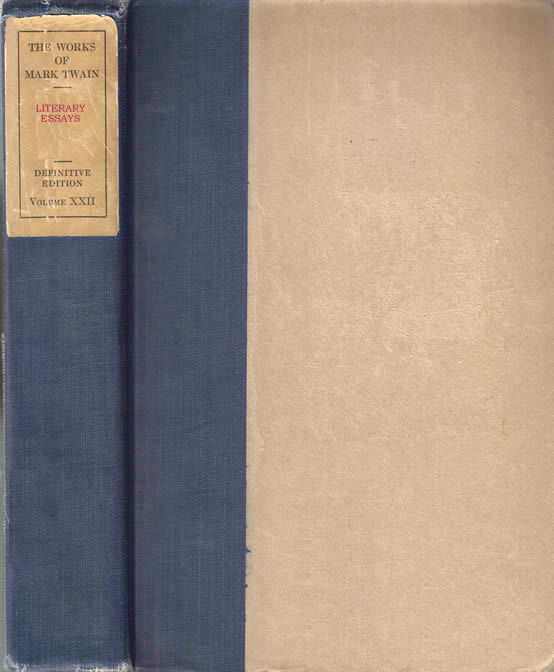 Although Wells did not purchase Locke's set of the 1899 edition, he did purchase other items in that sell and would have been aware of the prices the 1899 uniform edition of Mark Twain's works was fetching. Four months after Wells witnessed the $610 sale of a set of the 1899 edition of Mark Twain's works, both the New York Times and the New York Tribune reported that rare book dealer Gabriel Wells had purchased the rights from Collier and Son to a forthcoming 35-volume set of Mark Twain's works for $200,000. The edition, to consist of 1,024 sets, would be called the "Definitive Edition" and would include an autographed flyleaf from Mark Twain's hand from stock recently discovered in the Harper and Brothers vaults. The story behind the rediscovery of the autographed sheets is unclear, but Mark Twain's biographer Albert Bigelow Paine stated that Mark Twain had signed the sheets in 1906 in anticipation of a new uniform edition of his works. The $200,000 price Wells paid for the 1,024 sets was the highest recorded for any previous author. Newspapers reported that royalties to the Mark Twain estate would equal more than what the author of a best seller of that time would received for 100,000 copies. According to The New York Times, "This royalty, added to the returns on the popular editions of Mark Twain, makes his earnings, it is said, the greatest recorded for any author" (The New York Times, 21 March 1922). Why Collier and Son, who owned the rights from Harper and Brothers to market the subscription sets, released their rights to the forthcoming autographed edition is unclear but a quick profit likely figured into the equation. Announced in March 1922, the Gabriel Wells Definitive Edition was released in October 1922. Preliminary material for many of the volumes includes Appreciations written by prominent authors from around the world. Introductions were written by Albert Bigelow Paine, Mark Twain's official biographer. This edition also includes Mark Twain's letters and speeches edited by Paine and Paine's 4-volume edition of Mark Twain: A Biography. Albert Bigelow Paine's contributions to the Gabriel Wells edition cannot be overstated. The Gabriel Wells Definitive Edition utilizes many of the original illustrations and engraved portrait frontispieces of Mark Twain that had been used in the 1899 autographed edition although the artists received no official credit or acknowledgments. 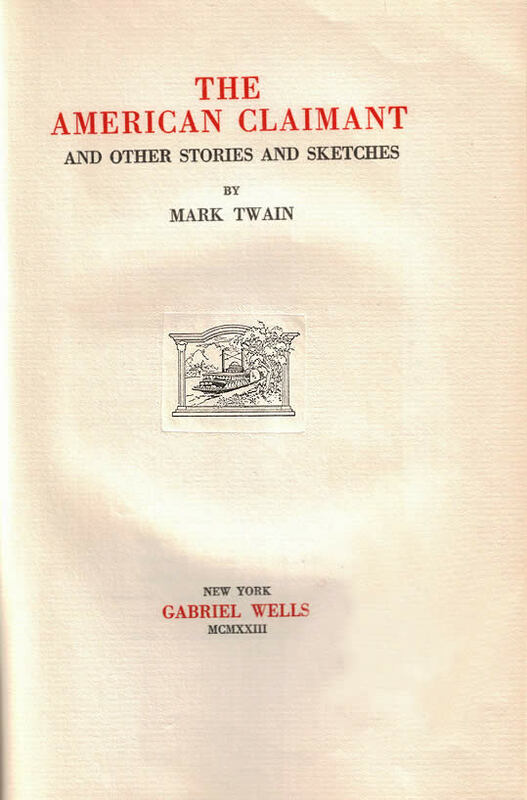 The edition is printed on Old Enfold paper by Plimpton Press of Norwood, Massachusetts and features a circular "Mark Twain / Samuel Clemens" watermark. The Gabriel Wells Definitive Edition which was announced in 1922 was geared to wealthy book buyers and collectors. 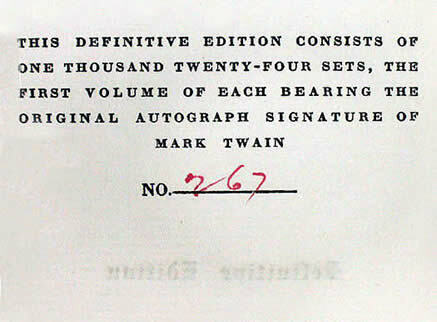 Three years later, in 1925, Paine's 2-volume edition of Mark Twain's Autobiography was added to the set, bringing the total number of volumes for the Gabriel Wells Definitive edition to 37 making it the edition with the largest number of titles ever produced for a uniform set of Mark Twain's works. On October 8, 1922, The New York Times book review section announced the release of the Gabriel Wells Definitive Edition of 35 volumes stating that "subscriptions will be received for complete sets only. ... The first hundred sets will be reserved for fine bindings, which will be executed to order" (The New York Times, 8 October 1922, p. 100). Six months later, an April 1923 ad in The New York Times announced that only a small number of sets remained unsold. April 29, 1923 ad from The New York Times, p. BR18. Neither sales prospectus nor advertised sales prices have been found for the Gabriel Wells Definitive Edition. Given Wells's reputation for never publishing a catalog of his wares, it is likely his sales were conducted among elite clients and prices were confidential. However, doing the math to estimate the minimal prices Wells would have required to break even on his investment establishes a low cost benchmark. A uniform edition of 1,024 sets with 35 volumes per set totals 35,840 books. Wells was reported to have paid $200,000 for the edition making the average cost per book $5.58 per book. Wells's investment per set would be at least $195. Given that Wells had recently seen an autographed edition of Mark Twain's works sell at auction for $610, it seems likely that Wells may have attempted to obtain prices that were at least double his investment. The production of the first 35 volumes of the Gabriel Wells edition spanned 1922 and 1923. Volumes 1 - 8 bear the copyright date of 1922. Volumes 9 - 35 bear the copyright date 1923. Volumes 36 and 37 were copyrighted in 1925. 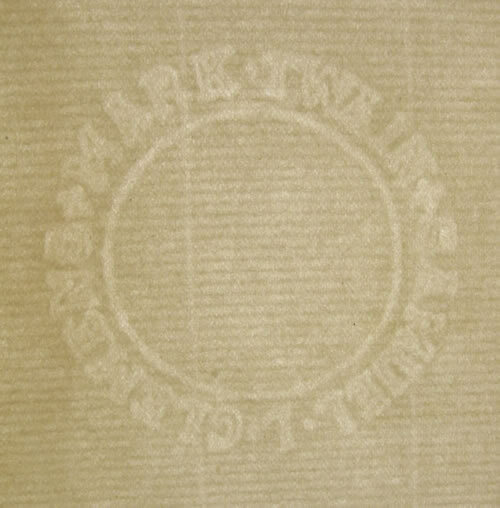 The specially made Old Enfold paper for the edition contained a circular watermark reading "Mark Twain - Samuel Clemens." However, according to bibliographer Merle Johnson, Paine's 4-volume Biography which made up volumes 30-33 was printed on Warren's Oldstyle Paper, the same sheets used by Harper in their trade edition of those volumes. Volume 1 of each set is hand numbered in red ink on the back of the flyleaf. Title pages feature red and black print along with a tipped in ornament illustration of a steamboat. The above title page shows the aging and warping of the paper around the steamboat ornament. Each title page is preceded by a frontispiece protected by tissue paper. Gabriel Wells sets are most commonly found in blue cloth and tan boards binding although elaborate custom bindings were offered. The cloth and board bindings feature paper labels on the spine. Sets have been found in original plain paper dust jackets which duplicated the labels on the spine. The Gabriel Wells Definitive Edition utilized many of the features and illustrations that Frank Bliss had incorporated into the 1899 Autograph Edition from American Publishing Company. However the Wells edition does not feature the engraved Tiffany title pages designed by W. H. W. Bicknell. The Wells edition also fails to identifiy the artists who contributed to the volumes. In addition, some photographs utilized in the 1899 edition were not used in the Wells edition. On the positive side of the equation, the Wells edition utilizes some illustrations that had not been used in previous uniform editions and it contains more of Mark Twain's works than had been previously collected in any uniform edition. 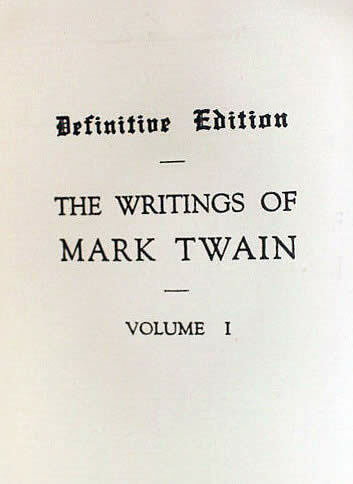 The edition also contains unique critical commentary from noted authors of their day regarding Mark Twain's work. "Bibles," Time Magazine, 23 July 1923. "Book News and Reviews," The New York Times, 8 October 1922, p. 100. "Gabriel Wells, 85, Book Dealer Dies," The New York Times, 7 November 1946, p. 31. Heartman, Charles F. Bibliography of The Writings and Speeches of Gabriel Wells, L. H. D. (Hattiesburg: Miss, The Book Farm, 1939). "Mark Twain Autograph Edition Sold for $610," New York Tribune, 10 November 1921, p. 15. "Mrs. Leslie Carter's Books Bring $11,281 at Anderson Galleries Auction," New York Tribune, 5 April 1919, p.15. Scott, Temple. Gabriel Wells, The Philosopher. 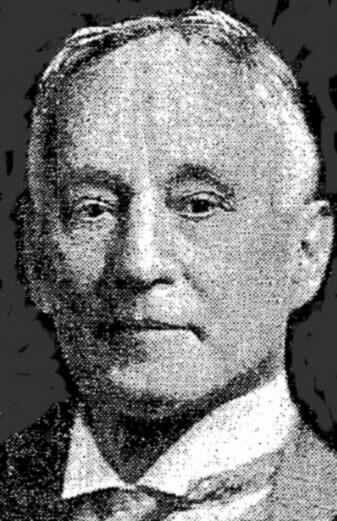 (The American Collector, 1927). "$200,000 Mark Twain Set," The New York Times, 21 March 1922, p. 28. Watkins, Sue. Personal correspondence, 1 January 2011. "Wells Will Aids Four Institutions," The New York Times, 20 November 1946, p. 49.